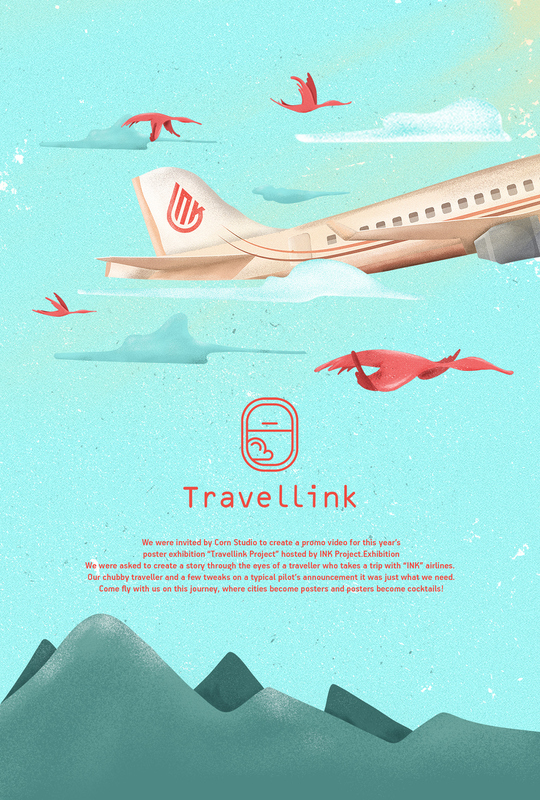 We were invited by Corn Studio to create a promo video for this year’s poster exhibition “Travellink Project” hosted by INK Project.Exhibition We were asked to create a story through the eyes of a traveller who takes a trip with “INK” airlines. Our chubby traveller and a few tweaks on a typical pilot’s announcement it was just what we need. Come fly with us on this journey, where cities become posters and posters become cocktails!